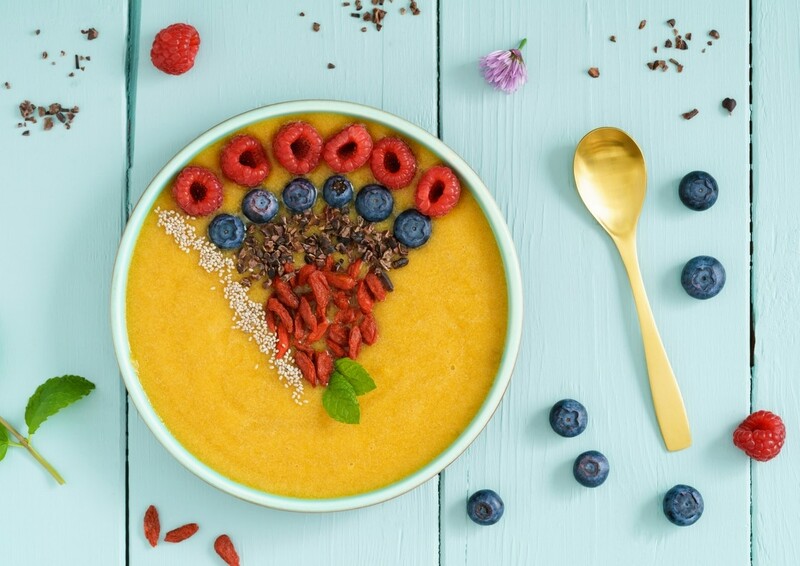 As consumers gain a greater understanding of the importance of a nutrient-rich diet to overall health, superfoods, such as acai, chia seeds, pomegranate and kale, have become the darlings of the packaged foods world, generating widespread consumer interest, with a plethora of products touting their health benefits and creating a multi-billion dollar industry. Named by Mintel as a superfood to watch in 2016, turmeric has continued to see growing market traction into 2017, popping up in products across categories – from foods, beverages and dietary supplements to beauty care products. Turmeric contains many active compounds, but it is curcumin, which gives it its golden colour, that is the most well-known and studied. A plant native to Southeast Asia and part of the ginger family, Turmeric’s rise is likely due to a number of factors; it is known for its antioxidant and anti-inflammatory effects at a time when chronic inflammation is being linked to a wide range of prevalent health issues, including arthritis, cardiovascular disease and cancer. But perhaps even more important is its noticeable effect. When consumers use a turmeric-based product, say for arthritis pain, they may notice an immediate improvement, which can trigger repurchase and potentially even fanatical belief in its efficacy. Once eaten by the Romans, Greeks and Egyptians, moringa is a superfood star that is predicted to gain as much popularity as kale. Native to South Asia, it is a weed-like plant that grows well in tropical climates and has been touted for a wide variety of health benefits. Little wonder, it is not only chock full of calcium, vitamin A and iron, it also consists of one-third protein, so it rivals the nutrient density of kale and quinoa. Moringa is also a powerhouse in the sustainability movement. The drought-tolerant plant grows well in areas where malnutrition is widespread, such as South Asia, South America and West Africa, and it is predicted to have a growing impact for mothers and children in these areas. The popularity of the plant is also providing a sustainability livelihood for growers in these communities. Maca is a tuber, or turnip-like plant, native to Peru’s Andean region. It has been farmed there for more than 2,000 years and is highly regarded for its nutrition, healing effects and support of sexual function. It has been traditionally used to treat anemia, fatigue, sterility and tuberculosis. More recently, maca has been studied for its ability to increase energy, stamina and mental clarity, and is also lauded for restoring balance as well as providing some relief for mild depression. The root is also nutrient dense, high in protein, natural sugars, iron, potassium, calcium, iodine and magnesium. Not surprisingly, maca is an increasingly popular ingredient in a variety of products, most notably sports and energy drinks. It allows the products to provide an energy boost without caffeine, an important attribute for many sports and natural product customers. Total sales of maca-based products are estimated to reach more than $100 million in 2017, according to figures from the Nutrition Business Journal. The rising interest in adaptogens has all the markings of a “health trend extraordinaire” as consumers get wise to the power of these natural stress and fatigue fighters. The category may owe a debt to the rising popularity of turmeric, itself an adaptogen, but consumers are now moving to the next level as they seek more natural, gentle remedies for today’s most common health issues, including insomnia, stress, digestive issues and sexual dysfunction. Used for thousands of years in traditional Chinese medicines, adaptogens are known as tonic herbs that support the body’s response to adverse effects like stress and toxins. More specifically, they support the adrenal glands, which manage the body’s hormonal response to stress, anxiety and fatigue. By definition, these herbs are non-toxic to the body’s physiological functions and, in general, bring the body back to a state of equilibrium. Different adaptogens have different functions ranging from calming the adrenal system to boosting immune support. Here are some of the noteworthy players emerging in products. Mushrooms have been noted for their medicinal properties for thousands of years. In more modern times, as our ability to cultivate these fungi has improved, they have caught the attention of scientists who are working to confirm their traditional uses as well as find new health benefits. As a result, they are proving to be desirable ingredients in products across a variety of categories from teas and coffees to bars and snack foods. The therapeutic benefits of various mushrooms have been well studied and have long been incorporated in a variety of pharmaceutical drugs. Similar to turmeric, mushrooms also provide a noticeability factor, boosting energy, enhancing focus without causing a crash or jitters, and alleviating feelings of stress. Sometimes called “shining skin” for its shiny varnished appearance, these mushrooms are most well-known by their Japanese name and are thought of in ancient wisdom as the mushroom for immortality. As an adaptogen, it is known to relieve insomnia, reduce stress and have a calming effect. This globe-shaped fungus has icicle-shaped spines that have generated a number of nicknames, such as Monkey’s Head and Hedgehog Fungus. It is seen as a powerful superfood adaptogen supporting the brain, nerves and immune function. It is also packed with antioxidants, beta-glucan and polysaccharides that are powerful immunomodulators. Winning the prize for the strangest background, Cordyceps is a fungus that grows on caterpillars living high in the Himalayan Mountains. It is thought that the drastic changes in temperature at these elevations boost its adaptogenic properties. Cordyceps are regarded in traditional Chinese medicine as a support for the kidneys, sexual function, cognitive health, bone and joint support as well as healing. Showcase products through an enticing demo program with any of the above superfoods or adaptogens. For some consumers, these special ingredients can be intimidating to try because of their unique flavour profiles. Include familiar product categories such as ready-to-drink beverages. Nutrition bars and tea that feature these on-trend ingredients can encourage consumers to give them a try. Ensure that key categories and brands are represented in your stores. Include supplement formats of superfoods and adaptogens. Highlight health claims with shelf talkers to engage and educate consumers. Equip staff with educational information to better serve inquiring consumers.